The preventive medicine sector is faced with a severe shortage of medical doctors and officials as well as insufficient spending, according to figures recently released by the Ministry of Health. Provincial and district-level preventive medicine centres need to recruit 23,000 staff, the ministry's General Department of Preventive Medicine has said. Tran Dac Phu, head of the general department, attributed the shortage to a huge gap between incomes of doctors in preventive medicine and doctors in disease treatment. The latter can earn dozens of millions or even hundreds of million of Vietnamese dong per month if they have a private practice. Nam Po district in the northern mountainous province of Dien Bien, for instance, has 15 communes, but only seven medical staff work in preventive medicine. The district's Preventive Medicine Centre, for example, is 80 kilometres from a remote commune. It needs 18 staff to cover preventive medicine tasks, including doctors and officials with bachelor's degrees in community health. Dien Bien Province's Preventive Medicine Centre is also in need of six officials. The average monthly salary of a preventive medicine doctor is 3-4 million VND (133-177 USD) and the expenses for a business trip 5,000 VND (0.3 USD) per person per day, according to a report from Dien Bien Province's Preventive Medicine Centre. One manager of a preventive medicine centre in HCM City said that new medical school graduates refused to work in preventive medicine because of the low income, hard work, and lack of opportunities for treatment of disease. 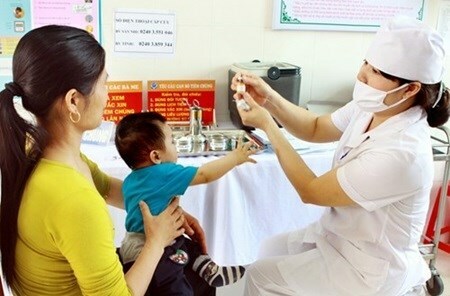 Pham Van Tac, Head of the Ministry of Health's Personnel Department, said the number of medical officials (doctors in preventive medicine or officials with a bachelor's degree in community health) in provincial preventive medicine met only 60 percent of demand. The provincial preventive medicine system is beset with many kinds of centres, including ones for food safety, environmental health, malaria control and prevention, and HIV/AIDS prevention and control, Tac said. Each centre has its own office and personnel. If some of these centres merged, the number of administrative staff and medical workers in preventive medicine could be reduced, he said. The average spending on preventive medicine accounts for only 16 percent of expenditures in the health sector, according to the latest study from the Ministry of Health. However, the Government requires that 30 percent of health sector spending be given to preventive medicine. The ministry's study of 15 cities and provinces showed that 14 cities and provinces had spending on preventive medicine below 30 percent. The northern mountainous province of Lang Son spent only 10 percent of the provincial health sector's budget on preventive medicine. The southern province of Dong Nai was the only locality with 50 percent of spending of its health budget on preventive medicine. A recent study conducted by the General Department of Preventive Medicine of 30 cities and provinces showed that 70-90 percent of State budget funds set aside for the preventive medicine sector was used to pay salaries, allowances and other expenses for daily activities.